Powerful and Efficient – The turbocharged, after cooled engine delivers an excellent blend of power and performance and it features a DOC+DPF +SCR exhaust after treatment system. 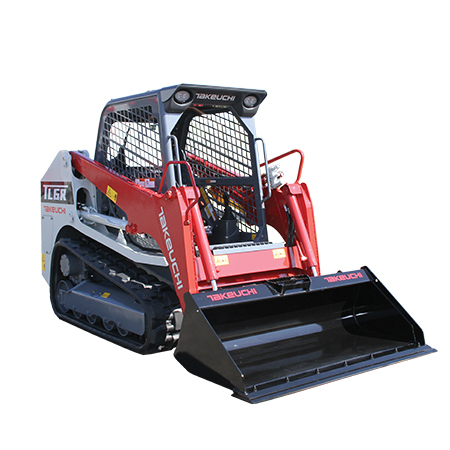 Vertical Lift Loader – Designed to deliver exceptional performance and improved tipping load and rated operating capacity. 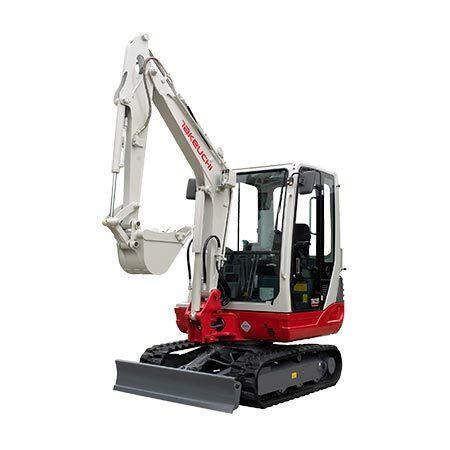 Automatic Power Control – Maintains engine power for optimal performance, and it may be engaged or disengaged by the operator. 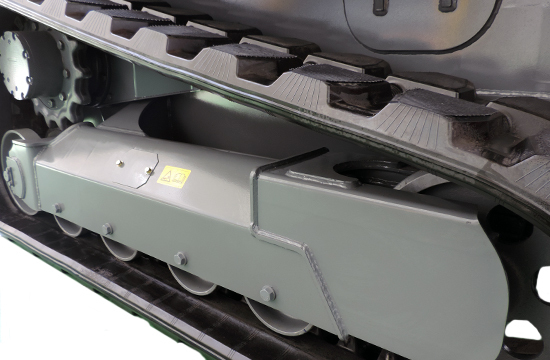 Quiet Ride Track – Allows rollers to ride on a rubber contact pad for reduced vibration and a quieter ride, and the wide block tread improves flotation. 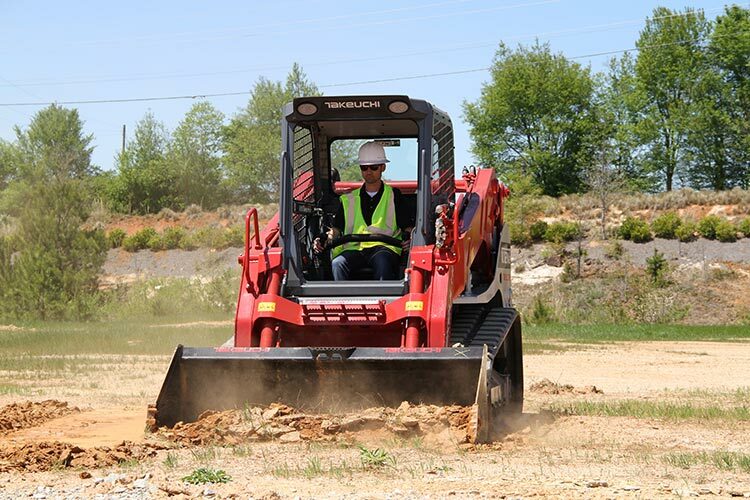 Multiple Working Modes – Power mode delivers maximum power and performance and ECO mode reduces fuel consumption and is ideal for less demanding applications. Front and Rear LED Work Lights – Provide excellent illumination in low light conditions for greater peace of mind. 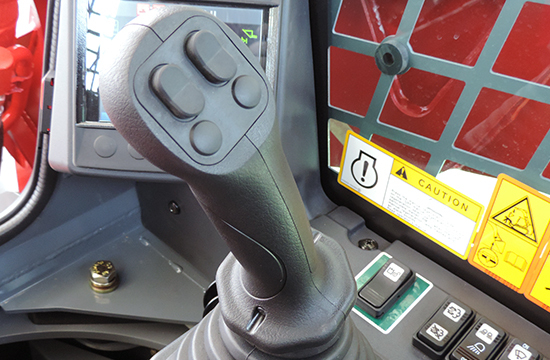 Pilot Joystick Controls – Respond immediately to operator input for greater control and performance, and they are low effort for excellent comfort. 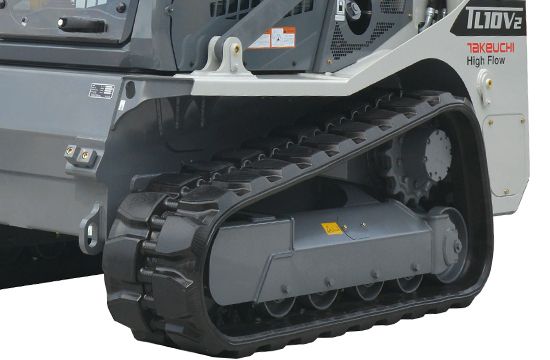 Improved Foot Throttle Position – Allows the operator’s foot to be in a more natural position for greater comfort and reduced fatigue. 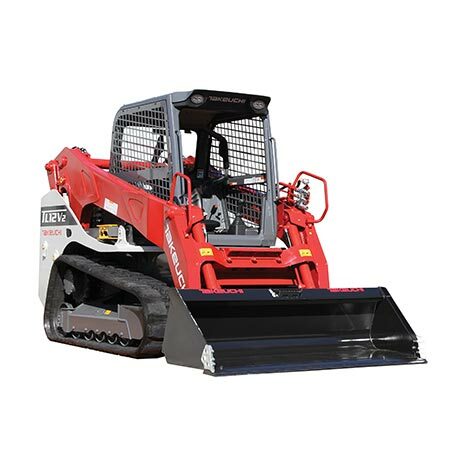 Deluxe High Back Suspension Seat – Allows the operator to remain comfortable through out the workday by providing a wide array of settings that include adjustments for height which also improves attachment visibility. Electronic Throttle Control – Is easily adjusted and can be quickly set to the operator’s preferred setting. 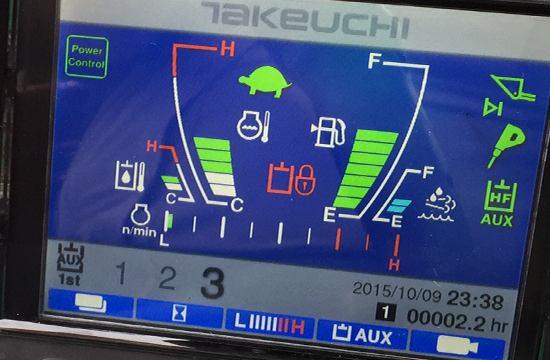 Color Multi-Information Display – Features a 5.7 full color display that provides the operator with pertinent machine information, allows the operator to adjust hydraulic flow from the seat, and has a wide range of attachment presets that can be set-up. Advanced Interior Design – Features a spacious cabin, improved functionality, updated rocker switch layout, 12v accessory outlet, and multiple cup holders. 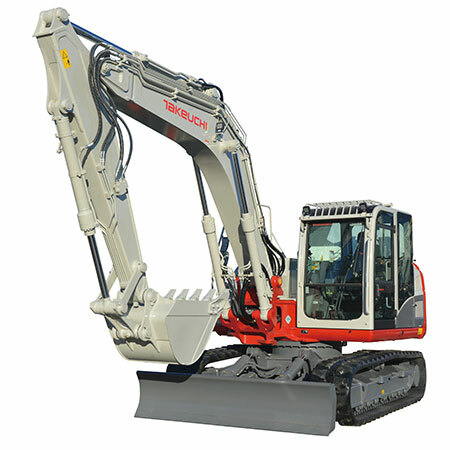 Hydraulic Oil Sight Gauge – Is easily seen by the operator as they enter the machine. Alternator Accessibility – Is greatly improved due to the removable access panel located on the fan shroud. Rear Tower Clean-outs – Are accessible through the right/left towers for convenience, easy inspection, and cleaning. Simplified Battery Access – Is now available through a bolt-on panel located on the left tower. 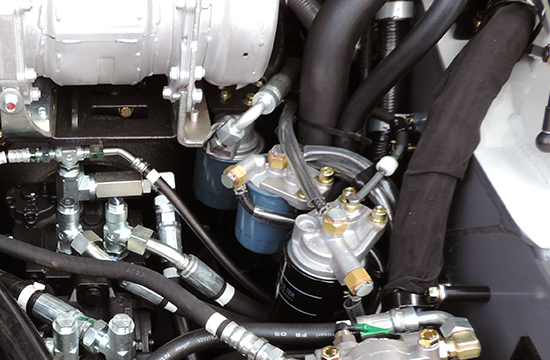 Clustered Fuel and Engine Oil Filters – Are positioned together beneath the tilt up cabin for greater convenience, and they spin-on from the bottom resulting in minimal clean-up. 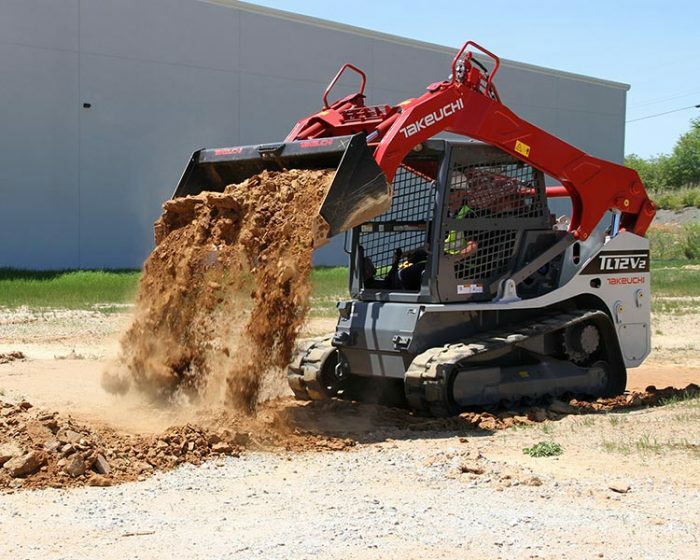 Fuel and DEF Fluid Fill – Features an audible alarm that alerts the operator when the fluid level is nearing the fill point reducing spills and clean-up.